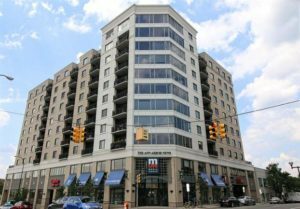 In 2017, Ashley Terrace sold a total of 11 condos; 2 of which The Bouma Group was involved with. The sales increased greatly compared to last year when only 4 sold. Offers below the listing price were often accepted, making the process of purchasing easier for buyers. $805,000. 111 N. Ashley, Ann Arbor. 1620 square feet with 2 bedrooms and 2.0 baths. $650,000. 111 N. Ashley St. #307, Ann Arbor. 1620 square feet with 2 bedrooms and 2.0 baths. $515,000. 111 N. Ashley St. #712, Ann Arbor. 1322 square feet with 2 bedrooms and 2.0 baths. $515,000. 111 N. Ashley St. #812, Ann Arbor. 1322 square feet with 2 bedrooms and 2.0 baths. $412,000. 111 N. Ashley St. #610, Ann Arbor. 922 square feet with 1 bedroom and 1.0 baths. $394,900. 111 N. Ashley St. #605, Ann Arbor. 994 square feet with 1 bedroom and 1.0 baths. Currently, the average sale price of condos at Ashley Terrace is $470,900, which is an increase of 11.5% compared to the ASP in 2016. 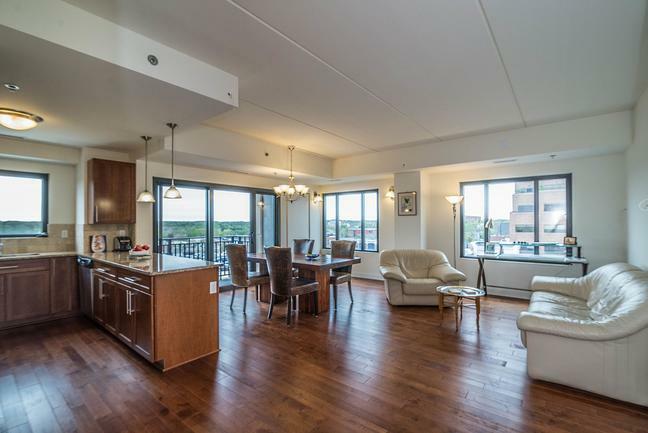 Right now there is a condo with a listing price of $975,000. The average price per square foot for the 11 condos sold in 2017 is $442.00, which is an increase of 7% in comparison to the A$/SF of $413.00 in the previous year. For more details and information about Ashley Terrace, contact the condo specialists with The Bouma Group at (734)761-3060 or email info@bouma.com. View the previous market report for Ashley Terrace here! Ashley Terrace is a premium Ann Arbor complex, the luxury high rise is located in the heart of downtown with all of your amenities within walking distance; there are a variety of floor plans with high quality features. 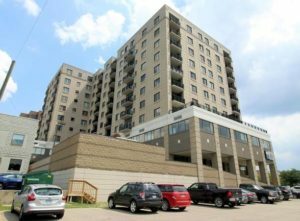 There are currently 3 condos listed for sale and so far this year, 9 have sold. $564,900. 111 N. Ashley St. #812, Ann Arbor. 1322 square feet with 2 bedrooms and 2.o baths. $435,000. 111 N. Ashley #310, Ann Arbor. 922 square feet with 1 bedroom and 1.0 baths. There are currently 2 condos listed for sale at Ashley Terrace in Downtown Ann Arbor, and so far this year 3 units have sold. $329,000. 111 N. Ashley #313, Ann Arbor. 570 square feet with 1 bedroom and 1 bath. 863 square feet of living space with 1 bedroom and 1 full bath. Kitchen has granite counters, stainless appliances, and hardwood floors. 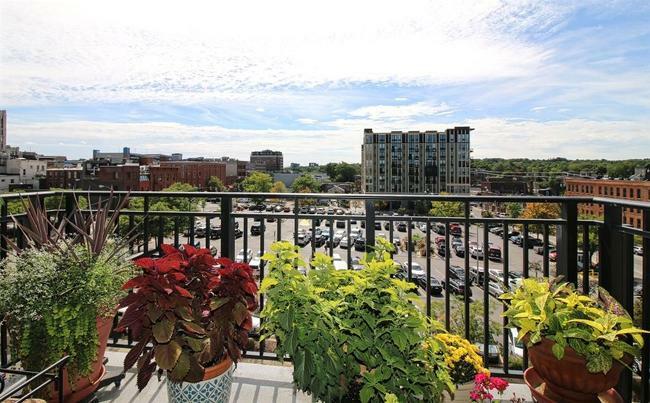 Views of downtown Ann Arbor from the balcony. Indoor parking, storage unit, and secured entry. 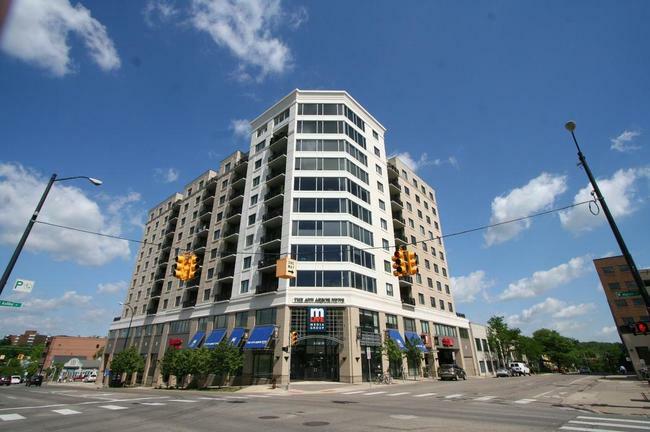 To learn more about 111 N. Ashley #403, or to request a private showing for this condo, contact the real estate specialists with The Bouma Group today at 734-761-3060 or email info@bouma.com. View more photos and amenities for Ashley Terrace here!